My 3 Day Hiatus - Or Was It Depression? Home LifestyleHealthAnxiety	My 3 Day Hiatus – Or Was It Depression? 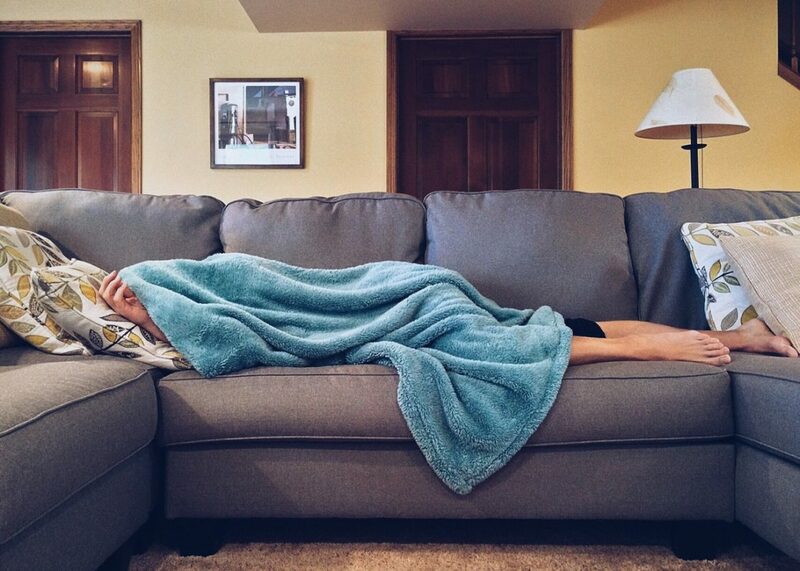 For three days straight, I never moved from the couch unless it was absolutely necessary, and even then, the thought literally made me nauseous… literally. I cannot remember ever feeling such utter exhaustion even when I had to care for newborns. As you may know, I lost my father to lung cancer on December 29, 2018. He was diagnosed on October 17, 2019, and from that moment on, my life was turned upside down with so many emotions that it would be hard to put them into words. I did try however, and you can read all about this very difficult time on the blog that I created for my family, as well as any other family who may be going through something similar. I named it Lung Cancer Battle, and that is exactly what it was. Until December 29, 2018, which was the day he passed, my father lived with my family, and I was his caregiver. I did everything in my power to care for him the best way I knew how, never worrying about my own health (mental or physical). I was (and I still am) so very thankful that I have they type of job (blogger and digital marketing consultant) that allowed me to work out of my home at any hour. This allowed me to take him on every single doctor’s appointment, every chemotherapy treatment, and of course, every emergency room visit. In between these visits I was managing his prescription medication, feeding him (or at least fighting with him to eat), waking up at night every time I heard a noise, and most importantly, being a prisoner in my home right along with my father. I could not leave him alone, and my husband and children were at work and school every day. Eventually, I had to take care of his bills after he lost the ability to use his hands. That was minor, but add to that his inability to get up from a sitting position without help, and this is when everything began tumbling down for both of us. I am 5’2″ and 115 pounds, and my father was 5’10”, 160 pounds (towards the end). Think of it as if you had to lift someone that size without any help from them whatsoever. It’s like lifting dead weight. I tried, and finally we got to the point that I could not longer do it as he had lost every ounce of strength that he had left. Losing someone as close to you as your own father really shows the inner strength that you never knew you had, and may never have again. The day after my father passed, I was off to the funeral home to make arrangements. Remember, my father lived in Florida, and was only here because he came up for a visit in October. Obviously, he had every intention of returning to his home. I learned from the funeral director that I would need my fathers social security card, and I also needed his military papers (DD-214) if I wanted to honor him as a veteran (and of course I would not have had it any other way). Obviously, as stated above, I had to get my father’s important documents before I could even put him to rest. On New Years Eve morning, my husband and children all jumped in the car with me and off to Florida we went. We spent several days there going through my dad’s important papers, and also packing up some of his things that we could bring back with us. This included his prized possession (and no, it wasn’t his brand new Cadillac that he bought earlier in the ear), which is a 1950 Ford F-1 pickup truck that my dad had been restoring. It was his favorite hobby in the winter months when the weather did not permit daily laps in the pool. Once everything was packed up that we could fit in the truck and the car trailer was hooked up with dad’s Ford on it so that we could bring it home to Ohio, we headed back for Dad’s service. Today was dad’s service, and it was beautiful. I put a lot of passion in it as I always do, and I went through every last photo to make sure that I did not miss someone that was important to my father. Afterwards, I went home, and I sat, and I sat, and I sat some more for almost a full day. For the past 3 months, my life had revolved around caring for my Dad, and I would not have wanted it any other way. Because of this, my house had been neglected. I dusted, I swept, I did laundry and a few miscellaneous cleaning chores, but for the most part, everything else was put on the back burner. Hell, I didn’t even have my Christmas tree up until December 23rd. I finally removed all traces of Christmas from my home. The tree came down, the lights, the decorations, and the packages that were still huddled under the tree. I also put my office back together. What I did not mention was that once Dad got to the point that he could no longer use the stairs, I made my office on the first floor his room. As I type this right now I can almost feel his presence, and I love it. He felt comfortable in this room, as he spent a lot of time in my office with me while I worked before it was made into Dad’s room. I had to head back to Florida to take care of some of my father’s business, and this time, I went alone. I felt so anxious the days leading up to my flight, but I completely surprised myself. I had “almost” zero anxiety, even when I was at Dad’s house by myself. I almost needed that time. Time alone, but time alone with my Dad. It was peaceful, and it gave me a chance to enjoy everything about Florida that led my Dad there almost 10 years ago. You can read about my car rental disaster here. While everyone in Ohio was suffering sub-zero temperatures, I was sitting by the pool in a tank top and shorts. I can totally see why he loved it there so much! Almost 4 months since it all began, it all came crashing down. I woke up on February 2nd and could not get out of bed. Let me say that again, I could not get out of bed! I woke up on February 3rd and could not get out of bed. Let me… (ok, you get it). I woke up on February 4th, and could not get out of bed. … Today though, I called the doctor. On this day, I decided that enough was enough. Laundry was piling up, dishes were piling up, and I really just hated how I felt. I was nauseous, had a severe headache, and I was so weak that going up the stairs was a serious chore. I picked myself up from the couch (I decided that it was better than being in bed all day), I crawled up the stairs and into the shower, I put my wet hair in a bun, and I went to my doctor’s appointment looking like something out of a zombie movie. My doctor was already aware of my father’s lung cancer, as I had just been there to see him a couple months before when I finally decided that I need something for my anxiety (something that I never took!). He told me that I may be depressed. He was not diagnosing me with depression, but he said that I had reached my limit mentally, physically, and emotionally to the point that I had wore my body down. He told me that I had to give myself time to grieve, and looking at the timeline above, grieving did not fit in to the schedule. He had me get some blood work done while I was there, and sure enough, 2 days later I find out that my iron level was dangerously low, and I now have anemia on my health record. I truly never realized how much I was wearing myself down because I was so hyper-focused on taking care of my father. That is what was important. That is what I cared about, and it was all that I cared about. Now, I have to start caring for myself. This post is the beginning of a new time. I am going to grieve my father, and if you have read some of my recent posts, you will see that I am beginning to do that… FINALLY!